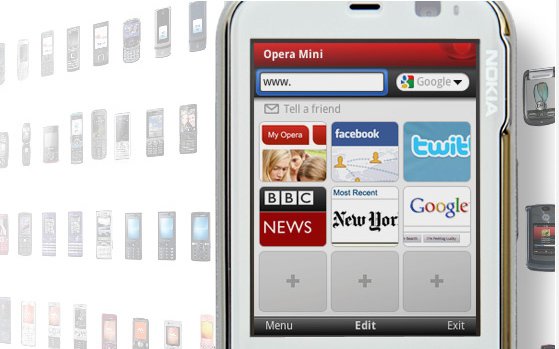 What’s new in Opera Mini 5.1 for Android? 96 languages are now supported in the user interface. Improved page layout on high-resolution screens. Improved kinetic scrolling. Opera Mini can now be set as the default browser. Automatically save browsing sessions if Opera Mini is killed by the system while in the background. Your session is restored if Opera is re-opened within 60 minutes. Full-screen now uses the whole screen. The focus of development so far has been on building a new user interface that reflects Firefox’s design principles, and adds touch screen support and other features that are appropriate for mobile phones and other handheld devices. Since the release of Dolphin Browser HD, we’ve been working hard to develop new powerful add-ons, improve the performance and fix a lot of bugs. Many of those bugs and suggestions were reported by you, our users, and we really appreciate that. This time we are working hard on improving the performance and speed. We made Dolphin browser HD 2 blazing fast comparing to the old version. Moreover, we dedicate to developing new add-ons for you. 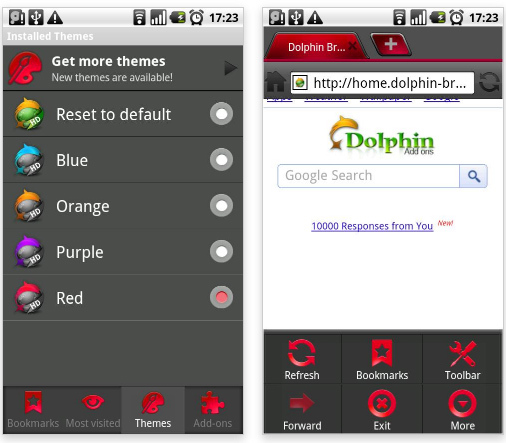 Here comes the APK of BETA Dolphin Browser HD 2. You can download it and have a taste by yourself. Any suggestion or feedback is warmly welcomed! xScope Web File Task Browser is far from being the most beautiful mobile browser for Android. However, what it lacks in looks it makes up for in functionality. Its bundle of features includes tabbed browsing, some interesting management controls, the ability to copy text, and support for skins (you’ll download the skin set separately). xScope browser tends toward flexibility, offering three ways to zoom in, open and close tabs, and switch among open tabs–including a simple finger swipe. We like the quick bookmarking, and can appreciate the task killer, even though it’s not a tool we’d seek out in a browser. Galapagos Browser is a multifunctional, convenient browser. 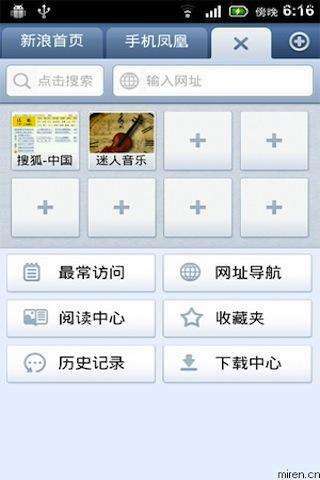 [Tips] *Custom menu (long…press to set menu) Custom menu is displayed at the bottom (Horizontal case is left) can be freely placed by long…pressing the menu. *BookMarks The edit menu of the bookmark is a long…press of the object list. Miren browser brings you the most intuitive browsing experience.